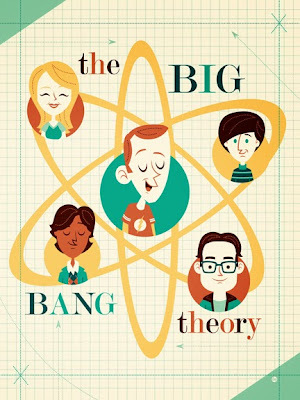 This is my contribution to the Gallery Nucleus and WB's "The Physics of Friendship: A Tribute to the Big Bang Theory". Show opens tonight (Opening Reception Oct. 19th, 7:00pm - 11:00pm)) and runs til November 10th. Giclee prints of my piece will be available HERE.